Congratulations on choosing Micro-Tech™ by TEMPUR®, you are now joining our growing number of owners worldwide who are enjoying the amazing comfort and pressure relieving benefits of TEMPUR® Material. Below are a few tips to ensure you get the best out of your investment and also what you should expect as you start to use your Micro-Tech™ by TEMPUR®. TEMPUR® Material itself cannot be washed, sponged or dry cleaned. There is a high risk that soaking with water or other cleaning fluids will cause irreversible damage, destroying the benefits of comfort and support which the patented foam materials provide. It will also invalidate your guarantee. The Micro-Tech™ mattresses and pillow has removable and washable covers allowing you to keep your product fresh and hygienic. A label stitched inside the cover will give you specific care instructions for the item you have purchased. We still recommend you regularly ventilate or air your product to remove any moisture. We will not have you doing any heavy lifting as our mattresses require no need to flip. Each model is a build-up of multiple layers so you sleep on the top side only. To prolong the life of our products, from time to time you can rotate your mattress head to foot. Advances in TEMPUR® technology have resulted in keeping maintenance to a minimum. Cover: White textile on top and foot end of mattress 1% Elastane, 99% Polyester. Side Grey Fabric: Grey textile on side panel of mattress 52% Polypropylene, 48% Polyester. Bottom: Grey Nonwoven 100% Polyester – not washable and should be zipped off. TEMPUR® Material is temperature sensitive and reacts to the warmth of your body, adapting to the shape of your body for ultimate personalized comfort. The ground breaking open cell structure allows TEMPUR® Material to gradually return to its original shape following compression, resulting in billions of supporting points that reduce pressure on your sleeping body. TEMPUR® Material, therefore, feels firmer in cooler rooms of 18°C or less and softer in warmer ones. During shipping, the covers of larger items such as mattresses may move from their original position. Once you have your mattress unpacked and on your bed base, allow some time for the Micro-Tech™ by TEMPUR® product to warm up in the ambient air temperature. Then you can simply straighten and smooth the cover back into position by hand. Once your product is unpacked you may notice a slight odour to your new mattress. This is completely harmless and will disappear within 4-6 weeks. Allowing the product to air or 'breathe', preferably uncovered in a well ventilated area before and after use, may speed up this process. Following the steps recommended in the ‘break-in period’ section will also help. If your previous mattress or pillow used more traditional methods of support such as solely springs, feathers and/or fibre, it is likely your Micro-Tech™ by TEMPUR® product will initially feel different. Our high level of support sometimes means your body needs to adjust to the change. Just give yourself and your mattress and/or pillow time, and within a few weeks you will be enjoying the amazing comfort, support and pressure-relieving properties that a good night’s sleep brings. For your mattress: The more time you spend on or in bed: resting, reading or watching TV the better. 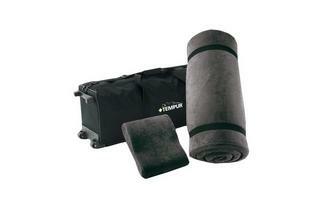 The extra movement will help the cells in the TEMPUR® Material to fully open. As they open the cells 'breathe' and respond more rapidly to weight and temperature, but they will return to their original shape. To the user it may feel like the mattress is getting softer, but in fact there is no change to the pressure relieving properties of your product. It is more likely your body is more ‘in tune’ with your bed. 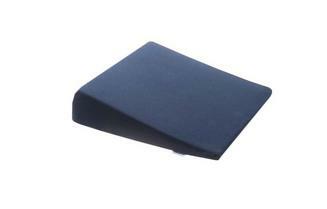 For pillow: During the first 2-3 weeks of ownership, it can help to use them as cushions during the day to improve the support and pressure-relief they are designed to deliver when you are sleeping. Please note TEMPUR® Material works best in response to the natural warmth of the user, therefore an electric blanket is not recommended. The heat from an electric blanket will temporarily offset the temperature sensitivity in the TEMPUR® Material. For the same reasons above, the use of a hot water bottle is not recommended. Please note, if your hot water bottle should develop a leak which wets, stains or damages your mattress we must advise you it will invalidate your guarantee. Generally Micro-Tech™ by TEMPUR® products should not be bent or pressed out of their original shape as there is a high risk of the material being damaged and all the properties and benefits it brings being lost. Micro-Tech™ by TEMPUR® mattresses must be stored flat, ideally in the original packaging. Due to the nature of the material in Micro-Tech™ by TEMPUR® products it can become slightly compressed during transportation or storage. This is expected, the product will return to its normal size after a short time in room temperature. Micro-Tech™ by TEMPUR® pillows should be stored in their original shape. Micro-Tech™ by TEMPUR® products should be stored in a dry environment (maximum 65% relative humidity).